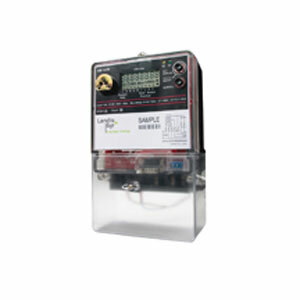 With the very fast download times of the Landis+Gyr proprietary protocol (90 days of ½ hour intervals in less than 5 seconds) the meter will meet the current and future needs of a continually changing power industry. Optical port for local reading using laptop. PCs or hand held units; RS232 for remote communications via modems – PSTN, GSM, GPRS and CDMA etc. Net metering for green power tariffs.